Ruth Hinks is the current UK World Chocolate Master and entrepreneur behind the multi-award winning chocolatier and patisserie, Cocoa Black. Born in South Africa, Ruth has worked as a professional chocolatier and pastry chef for over two decades. Her passion and successes in international culinary competitions have brought her widespread acclaim and industry recognition. Ruth’s work is regularly showcased on national television and at culinary exhibitions around the world. 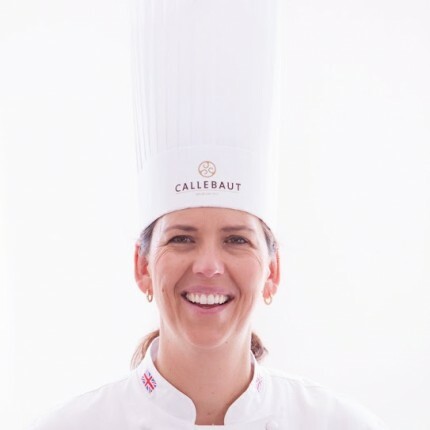 In 2004, Ruth was named Australian Pastry Chef of the Year. From 2005-7, she was employed as Head Pastry Chef at the 5-star Sheraton Grand Hotel in Edinburgh. In 2008, Ruth realised a career goal of starting her own chocolatier and patisserie business, Cocoa Black. With her business now launched and her passion for professional culinary competition undiminished, Ruth set her sights on the ultimate industry prize – the World Chocolate Masters. In 2012, she won the UK Chocolate Masters, becoming the first woman to qualify for the World Finals in Paris in 2013. Ruth is now one of a very select group of chocolatiers considered by the industry to be world class. In her journey to the top (she failed home economics at school), she has gained an insight into the commitment, sacrifices and dedication required to achieve great things. She exudes warmth, knowledge and a deep passion for everything chocolate.